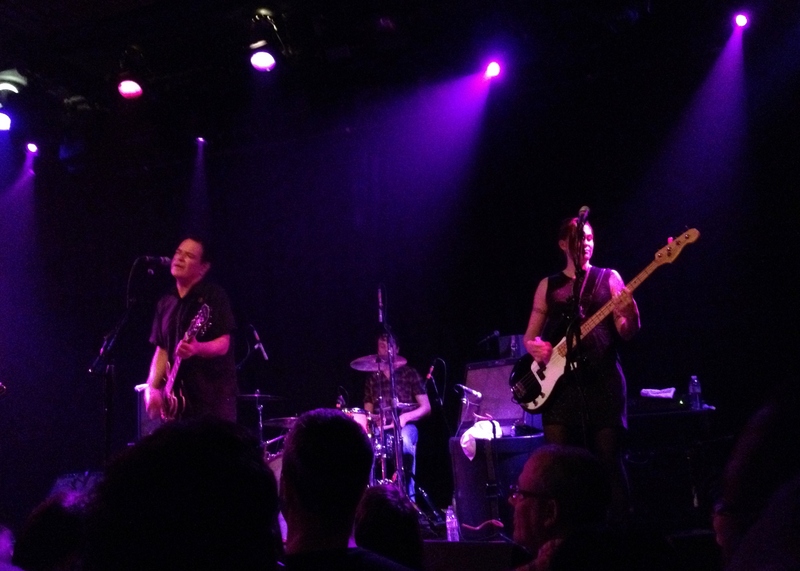 What does the Wedding Present have to do with a San Francisco based Scottish Music blog? – Pretty much everything. In large part, it is why we are San Francisco based and, in small measure, it explains the Scottish focus. Back in early ’96, unable to find anyone willing to take the trip to Toronto to see the ‘Mini’ tour, I began asking in the WP mailing list. I was a relatively new fan having only been made aware of them with the release of Watusi. Eventually one lone soul responded that they would love to go – the only catch being she was in Australia. In the end, I drove 2 hours each way for a 1 hour set. It didn’t disappoint. They played my Favourite Dress! I bought a signed cd and t-shirt to send to Australia. It was the least I could do. Speaking to Dave at the merchandise table, I also asked him for a recommendation. He offered up BIS. This led me to purchase ‘The Secret Vampire Soundtrack’ and begin my love affair with Chemikal Underground. Apparently a mutual love for Gedge is enough to spark a potential long distance relationship. Email turned to phone calls which turned into the idea of meeting in person. You don’t need to have listened to nearly 2 decades of the Wedding Present to know how it turned out. One of the other highlights was listening to Everything Must Go on a Sunday in a Chelsea record shop before the next day’s release. My own life had suffered a horrible self-inflicted blow. The transition from the Holy Bible to the follow up was deeply personal. I once saw Richard Thompson open up for Crowded House with my ex-wife and at that time thought I never wanted to see him after a break up. It is, of course, exactly what I did that year; at the Royal Albert Hall no less. I was quite impressed by the Divine Comedy as well. Casanova was just out and Liberation and Promenade were picked up at the show (avoiding the eternal which was better controversy). When I got home the Manics finally made their way to North America. I even joined the Divine Comedy mailing list where one day someone asked what the Manics were like. The chemistry was right this time. She was from San Francisco. I moved, we married and in between a Cinerama tour that started and ended here we adopted a cat and named her Sally. It would seem that I had to go to London to get to San Francisco. Thanks for the wedding Gedge. Review? They played Seamonsters in its entirety! This entry was posted in Behind the Scenes and tagged Wedding Present.